Sometimes you are crazy about someone, you feel like you love them and you are physically attracted to them, but still, you are not sure whether that is the right thing. You are simply not certain if you will feel the same about this person for the rest of your life. You don’t know if this guy is your soulmate and whether they are right for you. However, there are a couple of signs that can tell you if a person is cosmically meant for you to be in a relationship with. If you are in doubt, here are some signs that undoubtedly show you are meant to be together. 1. You see each other’s vulnerability. Our ego is one of our biggest weaknesses. We have the need to be perceived as tough, strong, and brave in every situation. But we are also only human, and as much as we want to be tough we break emotionally from time to time. If you are the first person your partner calls and wants to see when something bad happens, you are definitely meant to be together, at least in their eyes. It means they are completely comfortable to put down all the masks in front of you and be vulnerable. This is one of the biggest signs you are really, really, really special for someone. 2. You feel completely comfortable around them. When you are around each other, you feel relaxed and comfortable. It’s like you can take a breath of fresh air when you are with them. You are not ashamed to share the most intimate details of your life, and you feel the need to tell them things you don’t tell anyone else. You have seen each other in your best and in your worst. Whatever happens between you two, you don’t feel awkward. If you feel like this around each other, that is a sign you trust each other completely and feel safe in this relationship. 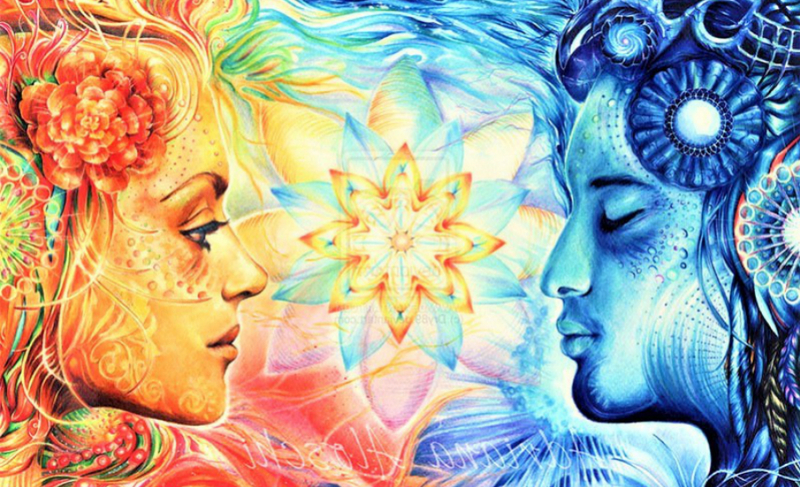 That’s a sign that your souls recognize each other through your personalities. 3. You understand each other better than anyone else. Sometimes, understanding is even more important than love. You and your partner have similar views on life and that is crucial. Besides, when they feel bad, you know it before they say even a single word. Sometimes they might be away and you still sense it. You can’t explain it, but it’s like you and this person are two parts of one puzzle. You understand each other’s essences. When something bad happens to you, you feel like they truly understand what you are going through. And they are always there for you, through bad and good days. Both of you know that you have each other’s back, no matter what. Being in love is always a beautiful feeling, but that comes and goes. However, when you understand one another on such a high level, that is what remains and pushes you to fall in love with each other over and over again. They give you a sense of tranquillity you never felt with any other person before. It’s like you feel at home when you are with them. Whatever worries you, when you see them, or even just hear their voice, suddenly everything seems resolvable. This person is your rock, your shoulder to cry on, and someone you turn to in your worst moments. If you have the same impact on them too, you two are definitely meant to be together. 5. You accept each other completely. Is there a better sign of true love than being able to be completely yourself around someone? If you are meant to be together, you will accept each other for who you really are. It is perfectly normal that there are some things that irritate you about your partner, but it’s important that you don’t have the desire to change the core of their personality. Nobody is perfect, but when you accept the imperfections of someone and love them unconditionally despite their flaws that is a sure sign that you see them on a much deeper level.